Un spacieux appartement confortable, bien équipée dans la copropriété St James, basée dans le village pittoresque de Praia da Luz, juste en dehors de Lagos dans l'Algarve occidentale. L'appartement est de 120m2 au total et se compose de 3 chambres, salon, cuisine et deux salles de bains. St James est un complexe familial, situé dans les limites du village et offrant d'excellentes installations, fini à un niveau très élevé. La belle plage de Luz se trouve à quelques centaines de mètres et la ville historique et pittoresque de Lagos seulement 10min en taxi ou en voiture. La chambre principale est équipée d'un lit double et dispose d'une salle attenante. La 2ème chambre a lits jumeaux et la 3ème chambre a lits superposés, toutes les chambres fini à un niveau élevé avec placards intégrés. Salle de bain principale est spacieuse et dispose d'un bain / douche ainsi bidet et carrelage partout. Salle de bain privée hors chambre principale avec cabine de douche, bidet et le carrelage partout. Le salon / salle à manger est grande et décorée avec goût avec deux canapés, une table basse et meuble TV, ainsi que d'une grande table à manger avec des sièges pour six. Le salon donne également sur un grand balcon avec des sièges et une table. La cuisine est séparée et contient aussi une table avec des chaises pour 4. La cuisine est bien équipée avec réfrigérateur, machine à laver, bouilloire, micro-ondes, plaque de cuisson / four, sandwich maker / grill et un grille-pain. Salon contient également un lecteur DVD et un système audio personnel. La plage de Praia da Luz est à seulement 400m, avec de nombreuses activités disponibles sur la plage, y compris le kayak, la voile, etc. De nombreuses options aussi dans le voisinage pour des activités telles que le golf, la marche et le tourisme en général. We stayed in the apartment at Whitson - we found it incredibly quiet for school holidays but that may have been the weather!! We found it pretty well located for all amenities - about a 8 min walk to the main promenade - tho walk back a little steep! The pool was situated 30 seconds away across the walkway but sadly the pool wasn't heated so we weren't able to use it too much as the weather wasn't great for all of our stay. I think it would have been in more use had it been heated especially as quite a few younger children/toddlers were staying at the apartments. The apartment is modern and well decorated and very thoughtfully supplied with dvd''s and games. Very spacious and well equipped. My only slight niggle is that it would have been nicer to have more towels - 1 each per week is not really enough! Oh and we could not get TV to work!!! Apart from that I think a fair price for rental for this property and would recommend. We loved our stay, having previously stayed at St James in a 2 bed apartment, we decided this year we needed more room. The apartment was spacious but so homely, well equiped, clean and felt like a home from home. Brian has been fantastic also, communication has been top notch, kept us update on everything and ensured our stay was a good one! Welcome pack is very thorough. The apartment itself is very well located, just a short walk to the beautiful beach, shops and some fantastic restaurants. The pool was cold but the kids enjoyed their time splashing about. We took giant inflatables but there was lots of pool toys in the wardrobe to use too. The complex is clean and tidy and even has a little playground for the kids too. Overall we couldn’t fault the holiday. We had a fantastic break, weather wasn’t fab but it didn’t dampen our holiday! We will definitely be booking again!! Thanks so much for the kind feedback Sarah, delighted you all enjoyed your holiday and would love to have you back ! Sint James is een mooi complex, goed onderhouden en een gezellige sfeer. Tijdens ons verblijf voornamelijk engelstalige gasten. Het zwembad was fris, maar favoriet bij onze kinderen. Vooral met het warme Portugese weer een aangename verkoeling. Het ligt uitstekend gelegen op loopafstand van winkeltjes en strand. Maar net buiten alle drukte. Het apartement is ruim, schoon en gezellig. Netjes ingericht en onderhouden. Ook heel compleet (zelfs wasmachine, vriezer, strijkplank etc.). Ook tot onze verrassing 1x per week schone handdoeken en beddegoed. Het balkon is lang en smal, maar vanaf ongeveer 12 uur lekker in de schaduw. Ook het contact met de eigenaar (Brian) verliep heel prettig en kwam al direct betrouwbaar over. Hij gaf veel informatie en kwam alle afspraken na. Perfect apartment in great location! We had an amazing time staying in this beautiful apartment, so much so my children did not want to leave! The apartment is so much bigger than I thought, it's beautifully decorated and really felt like a home from home! Brian made the booking really stress free and was so helpful and friendly. The pools were fantastic and having a great sized kids pool was great for my 3 year old who was happy being able to stand in it. The location is perfect and only a 5-10 min walk to the beach which is stunning! We absolutely fell in love with Praia da Luz and this apartment so much so that I am already looking to book up again for next year! A spacious, comfortable and well laid out apartment in a lovely complex. This apartment was perfect for our party of 5. The pool area is lovely with two good size pools and plenty of loungers. It's in a quiet location but is only a quick walk to the seafront. Lots of parking on site. We love Luz anyway but this apartment really made our holiday. Brian was also really efficient and helpful throughout - thank you. Only a brief note to recommend this house. The owner is very friendly and very careful with their guests . The house is situated very close to the beach in a fantastic residential area . 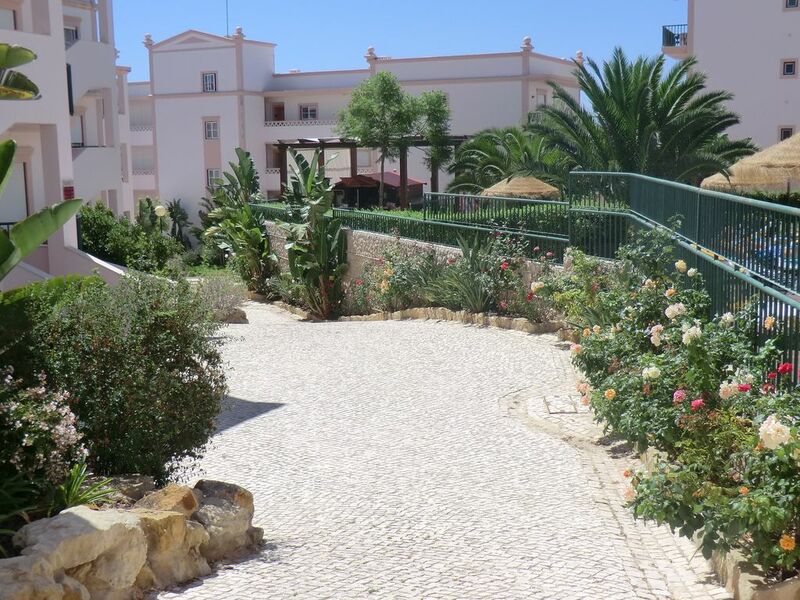 Beautifully furnished and equipped with everything needed for a great vacation in Praia da Luz . The maintenance and cleaning of the house are perfect and all very efficient and professional support staff . The first time we stayed hosted was last year. We repeated this year and already we set for next year ! It is our holiday home in Praia da Luz ! OBRIGADO BRIAN! Somente uma breve nota para recomendar esta casa. O proprietário é muito simpático e muito cuidadoso com os seus hóspedes. A casa está situada muito perto da praia numa zona residencial fantástica. Casa muito bem decorada e equipada com tudo o que é necessário para umas otimas férias na Praia da Luz. A manutenção e limpeza da casa são perfeitas e todo o pessoal de apoio muito eficiente e profissional. A primeira vez que ficamos hospedados foi o ano passado. Repetimos este ano e já marcamos para o próximo anos! É a nossa casa de férias na Praia da Luz! THANKS BRIAN! Situé dans le village côtier de Praia da Luz, un village pittoresque avec de petites rues, balayant à une plage fabuleuse et front de mer. Beaucoup de restaurants dans un 10-15 minutes à pied. Le village est à seulement 10 minutes en voiture de la ville belle et historique de Lagos, qui fourmille d'activités dans les mois d'été et avec un large éventail de restaurants et la vie nocturne à choisir. Juste un court trajet en voiture à un certain nombre de terrains de golf, ainsi que de superbes plages de surf sur la côte sud-ouest et le fort historique et le phare dans la ville de Sagres. If booking more than 4 weeks in advance then a non-refundable deposit of €150 will be required, with the balance paid 4 weeks before travel. If booking within 4 weeks of travel then the full amount will need to be paid. A security deposit of €150 required in advance which will be refunded after property check post completion of your stay. Payment by Bank / Credit Transfer if possible. If paying by Credit Card then (and only then) a Card Payment fee of €20 will apply Note - normal check-in time is 4pm and check-out time is 12noon, unless otherwise agreed with the owner.